Restylane® is a dermal filler that has been used by Dr. Jacono and his staff since it was introduced into the market. So what is Restylane® exactly? It is a hyaluronic acid (a sugar molecule) that is FDA approved to help treat face wrinkles and fine lines. Normally hyaluronic acid is naturally found in your eyes, joints, and skin. The hyaluronic acid that is used in Restylane is completely natural and is not created using any animal ingredients. Because of this, there is no need for pre-testing for any potential allergic reaction. The Restylane is then created using very tiny granules of hyaluronic acid, which has a soft gel like texture. This granular consistency was established to help improve how long the results would last. Since Restylane is a soft filler, its does not usually leave any visible bumps under the skin. These areas are treated by injecting Restylane® under the skin to create the volume. This volume enhancing effect is created by layering the filler in a series of fine tunnels within the undersurface of the skin. The layering of the filler allows Dr. Jacono to treat deeper wrinkles and areas that have had a lot of volume loss. The typical period of time that the effect of Restylane lasts is generally between six months to a year in most cases. Since everyone’s body is different there is no exact time frame the effects will last for but generally most patients will see their results last for half a year and more. Am I a Good Candidate for Restylane®? 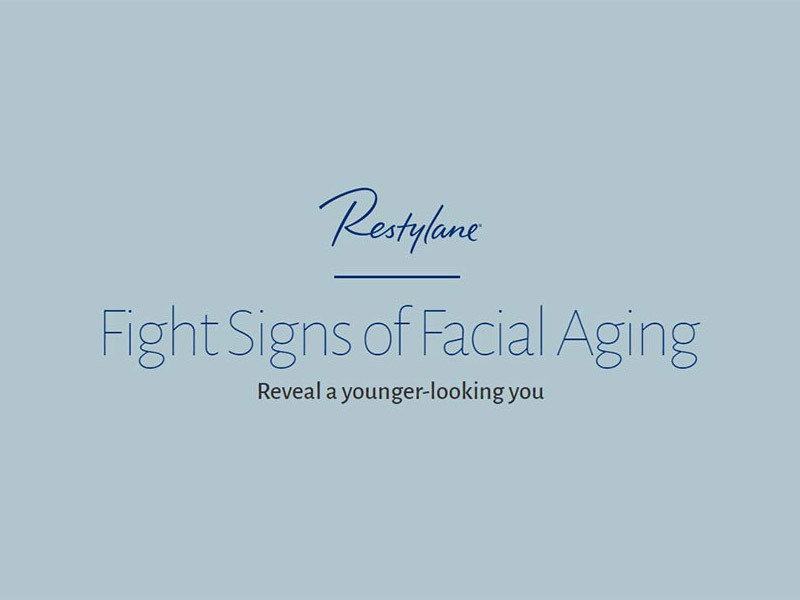 Restylane can produce great results for both men and women who are looking to restore a more youthful appearance to their face by adding volume to areas of their face that have become hollow, as well as to treat wrinkles. These injectable fillers are safe and can be used regardless of the patient’s ethnicity. We recommend that patients be in generally good health and should have reasonable expectations for this type of treatment. To determine if Restylane treatments are right for you, contact Dr. Jacono’s J Spa office at 516-773-2424 or contact us via the web to set up an appointment to discuss is this facial filler is right for you. What areas can be treated with Restylane? It can be used in the cheeks, nasolabial folds, lips, and under the eyes. Restylane works to help diminish wrinkles while restoring volume and fullness to the face. Before treatment, a topical numbing cream is applied. The area is cleaned and then injected. Icing the area is recommended afterward. You may experience temporary swelling and bruising after the treatment. It varies by treatment area but Restylane can last up to 18 months in some cases. For the cheek area, it can last up to 12 months, and 6 months for wrinkles, folds, and lips. No, it contains lidocaine and we use a numbing cream. Restylane is made with a sugar that naturally occurs in the body so it is generally safe for patients who are in good health.